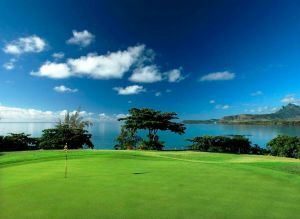 We offer a choice of over 1 golfcourses spread out thru Mauritius. Book green fees and tee times in REAL TIME and get your confirmations immediately. Le Touessrok Golf Course is an 18-hole, par-72 course on its own island in Mauritius. Designed by Bernhard Langer, it is a championship course that is fringed by white sands and surrounded by the blue Indian Ocean, Le Touessrok Golf Course features breathtaking views, with the holes snaking up and down the length of the island. There are nine lakes in all, with a number of holes requiring tee shots across sea inlets to the fairways.